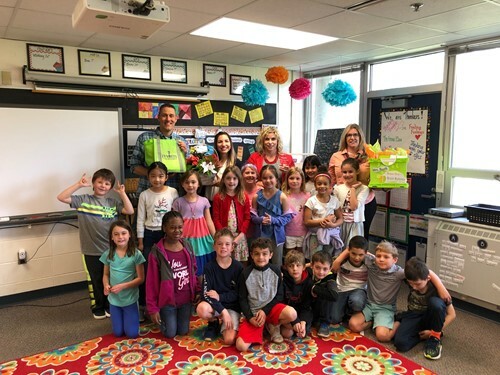 Indian Hill Primary School (IHPS) teacher Kristi Booth got quite the surprise on Thursday, April 11, when she was greeted by a team from Warm 98.5 to present her with the Teacher of the Week award! Booth’s students were all smiles and cheers when they heard the news. A District parent nominated Booth for the award. You can see a video of the surprise on the District Facebook and Twitter channels!